I've been wanting to shoot a few cowgirl pinups for some time now. Enter Kit Karson! Doesn't she make the most perfect cowgirl pinup ever?! Our in house hair and makeup artist Scooter Ray put the finishing touches on her right before our shoot. 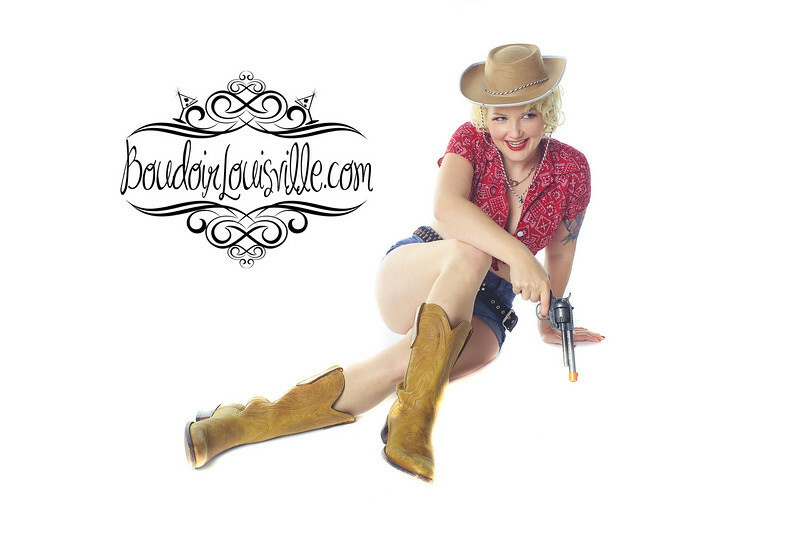 We tried our best to recreate a few of the old classic cowgirl pinups, I think we did pretty darn good! 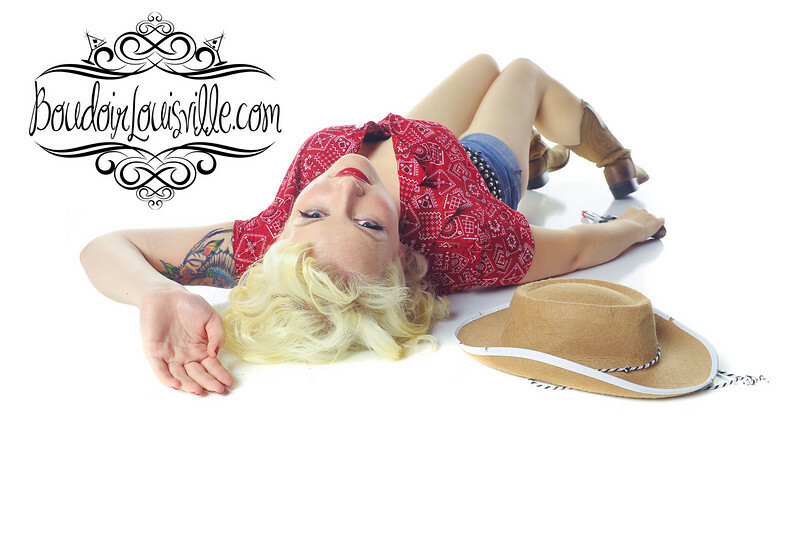 Click the pics below to book YOUR pinup session!